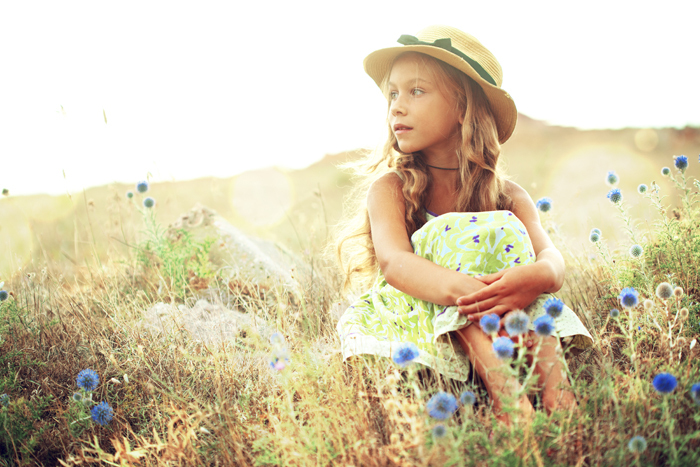 Ring in spring with these fresh new trends in kids clothing. 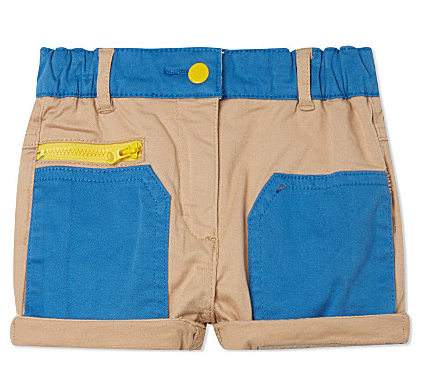 Stella McCartney Joe Cotton Shorts | Selfridges & Co.
Show them Stella McCartney’s contemporary style with this pair of playful shorts. Cotton-soft, they feature a block colour scheme, as well as a collection of handy pockets, and contrasting button fastening for an adorable twist that they will love. 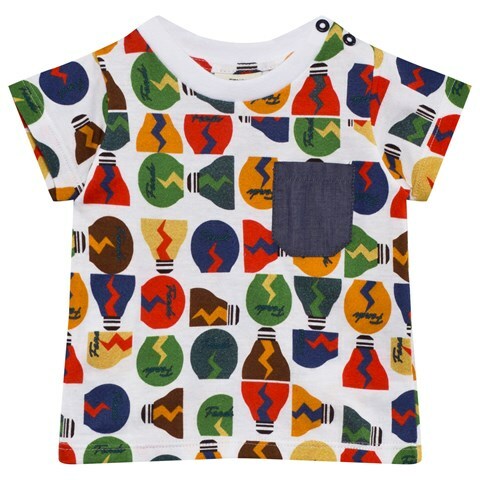 From Fendi, this bulb print tee is a quirky item your little boy is sure to feel comfortable in. With multi-toned branded designs to the front and back, this short sleeves tee also boasts a contrasting chest pocket and poppers to one shoulder for easy changing. Wear with pull on jeans and velcro trainers for a casual and simple choice. 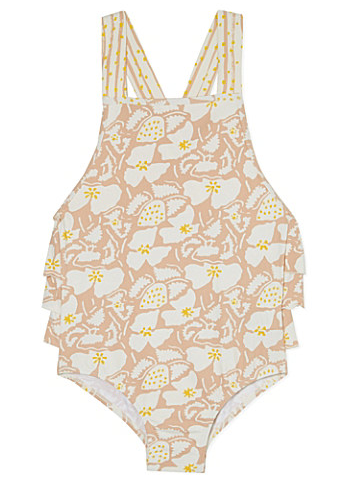 MOLO Franny Cotton Bodysuit | Selfridges & Co.
Add a sweet touch to your baby’s wardrobe with Molo’s Franny bodysuit. Soft in stretch-cotton, this super comfy and cute essential is printed all over with colourful fruits and has a flared skirt for a girly touch. 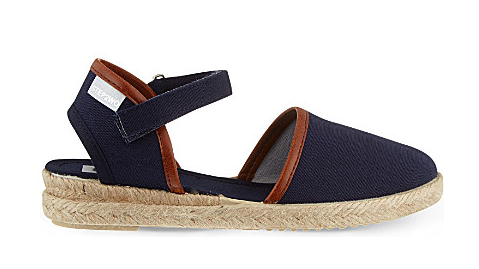 STEP2WO Beach Canvas Espadrille Sandal | Selfridges & Co. Prepare them for the summer with Step2wo’s Beach sandals. Combining two calssic styles in the sandal and espadrille, these sandals are a versatile option this season. 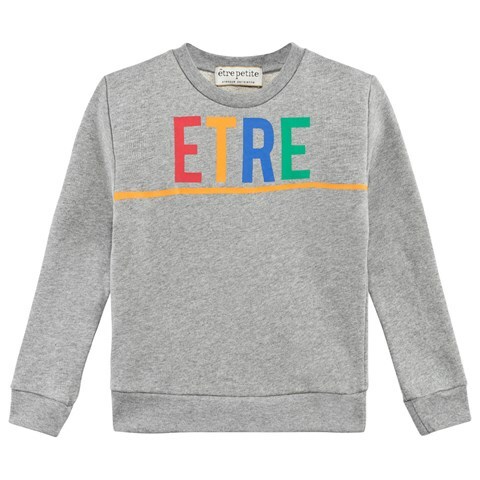 From Etre Petite comes this soft sweatshirt that your little boy or girl will love wearing on casual days out with the family. Boasting a grey colour palette, the piece plays host to the word ‘Etre’ in multi-coloured print to the front and a yellow stripe underneath it. 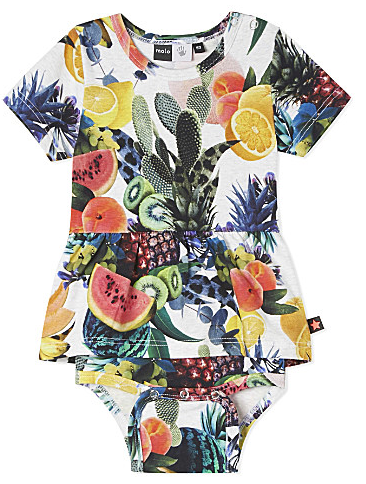 Pair this cool piece with slim fit jeans and trainers for a laidback outfit your little one will be comfortable in. These jersey trousers from Joules make for a fun update to loungewear that your little girl will adore. Designed in a soft grey shade, the trousers boast an elasticated waist, drawstrings and ribbed cuffs for a secure fit, however the most interesting addition is seen on both legs. 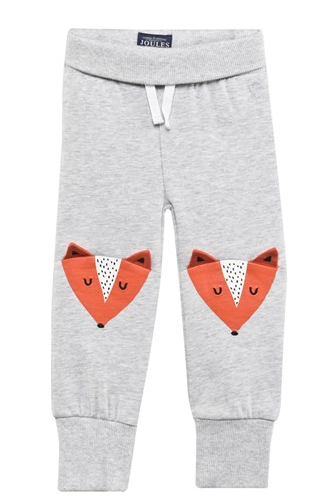 Brown fox faces with applique ears are printed on each knee providing a funny touch that will entertain your little lady. Stella McCartney Flower Strawberry Swimsuit | Selfridges & Co.
With a charming crossover back and side frill detail, Stella McCartney’s swimsuit is a playful poolside choice. Featuring a delightful flower and strawberry print this one-piece is is designed with ultraviolet protection and handy press stud fastenings. 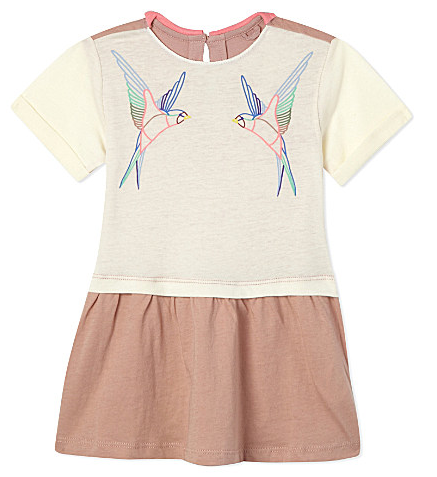 Stella McCartney Jess Birds Print Short Sleeved Dress | Selfridges & Co. 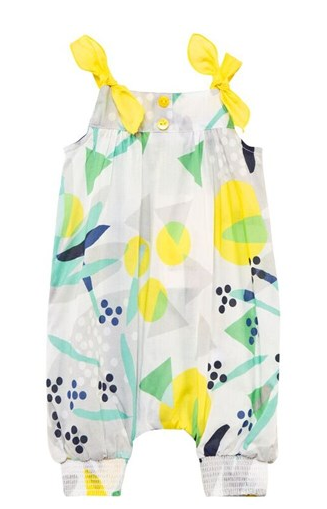 Cute and adorable, this dress from Stella McCartney is the perfect addition to your llittle one’s wardrobe. Crafted from pure cotton guaranteing the ultimate in comfort, the colourful birds print puts a girly spin on a wardrobe classic. Super colorful and fun, TOMS’ paint-speckled sandals are a playful pair for your aspiring artist. Brighten up any rainy day with this pretty design from Catimini. This white hooded rain mac is decorated with blue spots to the front and rear, with floral designs printed at the hems. 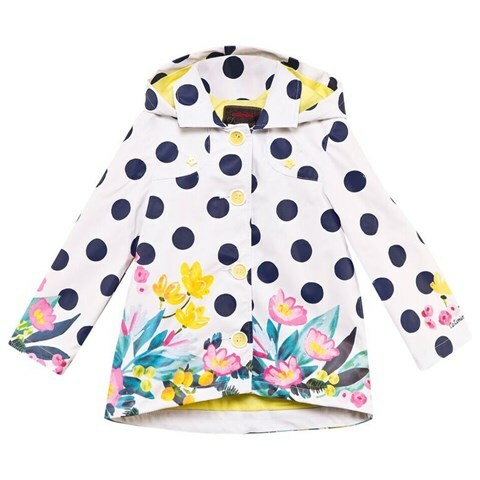 Finished with a yellow lining and button fastenings, your girl will surely look forward to spring showers with this statement piece in her collection. This extra-cute set of bodies from Billybandit would be a special present for new parents. This set includes a pale blue body decorated with a print of a racoon and colourful imagery and a dark blue body that features a teepee design to the chest. 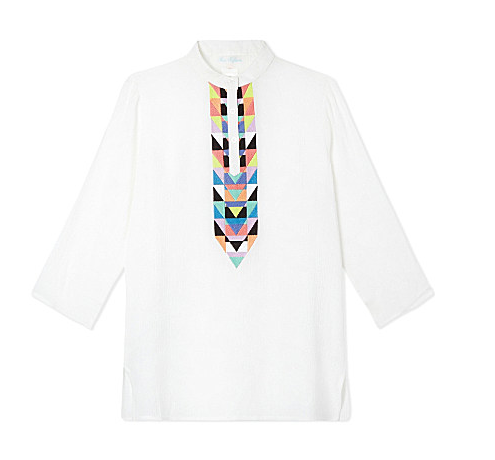 Mara Hoffman Embroidered Tunic | Selfridges & Co.
Let them dress with imagination by choosing this embroidered tunic from Mara Hoffman. Boasting a colourful and exuberant front pattern on light fabric, this distinctive piece is just the thing to become the centrepiece inside your little one’s casual wardrobe. This extra-girly romper from Catimini is bound to be cherished by your little girl this season. This cotton item features an all-over floral print and includes elasticated cuffs, poppers to the rear and bold yellow shoulder straps. Perfect for keeping her cool this coming season, she will surely be noticed in this statement design. 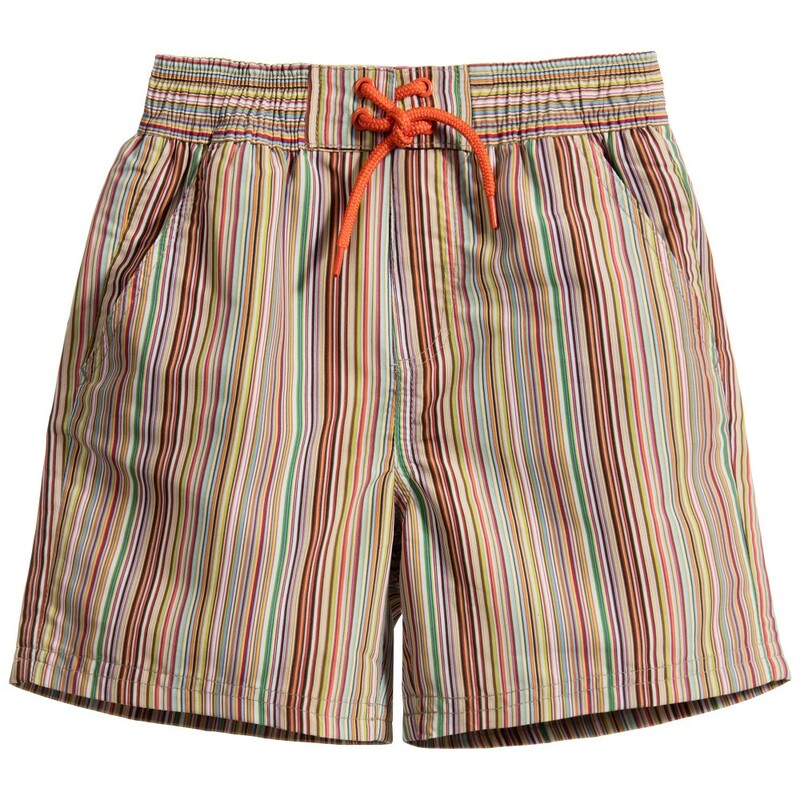 He’ll be swimming in style with these multi-coloured swim shorts from British brand Paul Smith Junior. The lightweight shorts boast stripes all-over and have three handy pockets that are perfect for carrying his trinkets in. With a stretch waist and two drawstrings to allow for a snug, adjustable fit, these shorts will quickly become his favourite pair to wear at the beach.